A small pair of antique terracotta hunting boots. 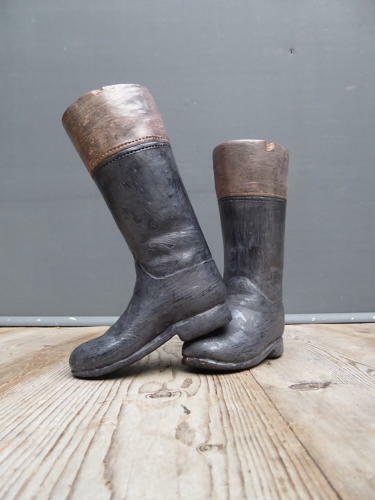 A beautiful, tactile & very unusual pair of terracotta hunting boots in original paint with a good age related patina. A delightful little decorative piece with some great detail. Wear commensurate with age, good overall with two small chips to one boot, one to rim & another to the sole.